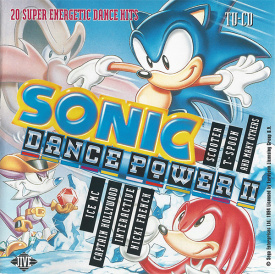 Sonic Dance Power II is the second in a series of techno-dance compilations released in the Netherlands using the Sonic the Hedgehog brand. Contrary to what the Sonic Triple Trouble cover implies, none of the songs are actually based on Sonic or any related SEGA franchise. This page was last edited on 27 January 2019, at 00:49.